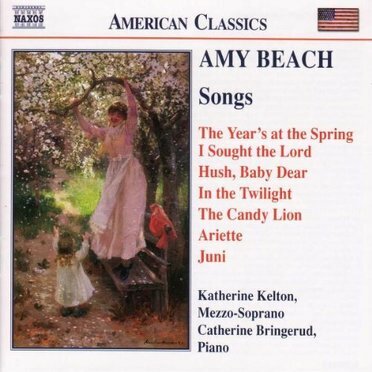 Amy Marcy Cheney Beach was a hero among American women composers. 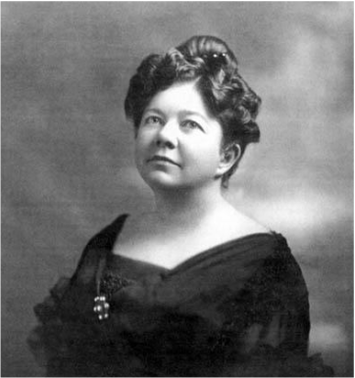 She was the first successful American female composer to write large-scale music such as symphonies, as well as piano music and many songs. 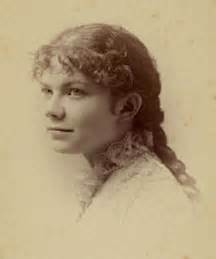 Beach became famous in both the United States and Europe as being the most frequently performed composer of her generation. At the same time that many people from Europe were immigrating to America in the late 1800's, music was also immigrating. It was in the late 1800's that American composers started to be recognized both in our country as well as in other parts of the world. 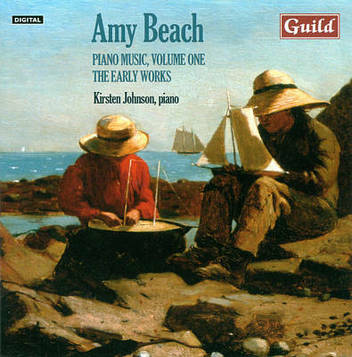 Amy Beach was one of these first great American performers and composers. She inspired other women to step forward with their talents. Our listening example, "Pantalon", is from a collection of six short, easy piano pieces for children. Pantalon is the French word for long pants, or trousers, and refers to a clown trying to walk with its trousers around its ankles. As you might expect, the mood of the piece is energetic and playful. 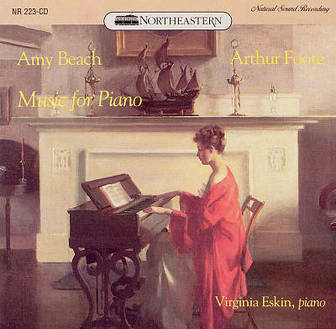 Amy Beach was born in New Hampshire. Like Mozart, Beach was a child prodigy. At age 1, she could sing forty tunes accurately. By age 2, she could improvise a second melody to any tune that her mother sang. At age 4, she taught herself to read. 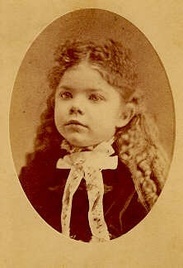 And at age 5, she began composing simple waltz music to be played on the piano. After one year of lessons, she was playing in public recitals music written by famous composers as well as her own works. 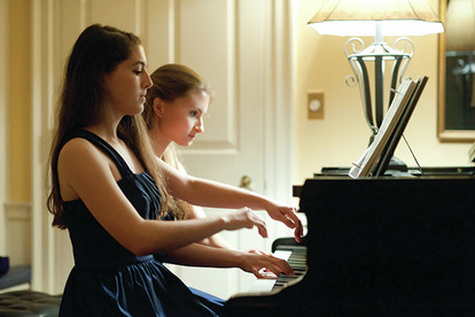 Beach's love of music led to a dedication to work hard at her musical studies. She believed she was destined to do great things in music. "Elfin Tarantella" is a piano duet. A duet is played by two persons. Elfin usually refers to a small person, and a tarantella is a quick, lively dance. 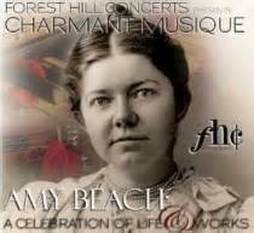 Amy Beach started her professional career when she was just sixteen, playing piano with the Boston Symphony Orchestra. Like Beach, many outstanding musicians in our world today begin their careers as teenagers. The judges on American Idol and America's Got Talent predict great careers for the contestants on their shows, just like the newspaper reviews raved about Beach's performance and predicted a great career for her as a concert pianist. She persevered and made her dream come true. 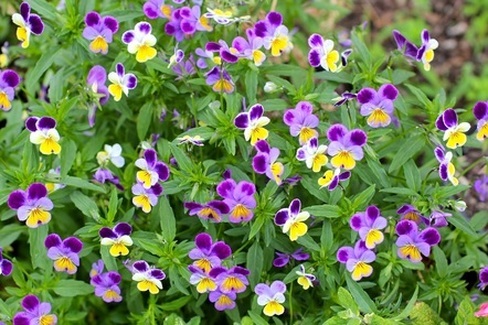 Our listening example is called “Heartsease”, which is the name of a flower. It is from a collection of short pieces called Grandmother’s Garden Suite. This is a duet for clarinet and piano. Youtube video - "Heartsease" from Grandmother's Garden Suite for clarinet and piano. 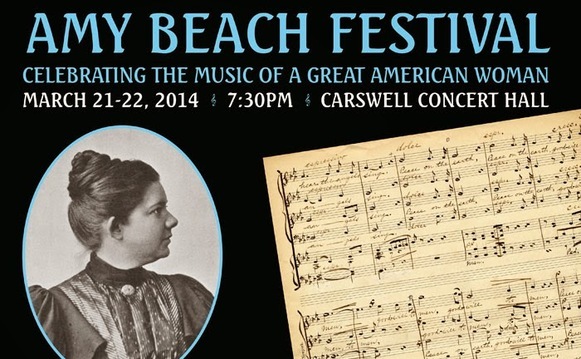 As a married homemaker, Beach limited her concerts and focused on composing. 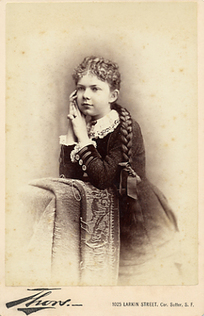 She did not have a music instructor, so she studied the works of famous composers and taught herself how to compose. Back then, women had to be innovative to have their work made known to the public. So, Beach published and sold her music under her husband's name, H.H.A. Beach, and it was accepted everywhere. Beach donated the money she earned from playing concerts to charity organizations. After her husband died, she fulfilled her dream of being a concert pianist by playing in countries throughout Europe. Our listening example, "Allegro-Agitato" means "fast and agitated". 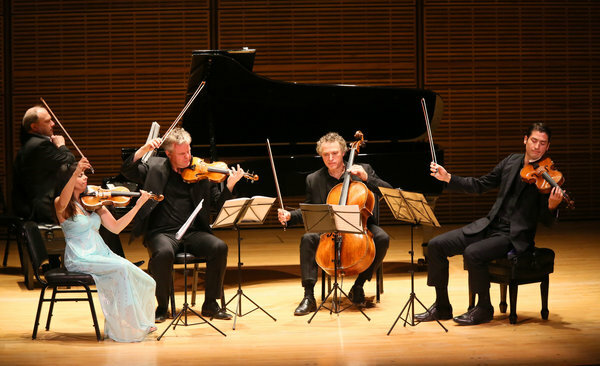 It is played by a piano quintet, which is like a string quartet with a piano. The instruments include two violins, one viola, one cello and piano. Sometimes, when people feel agitated, they can feel tense. As you listen, try to decide if this is the mood of the music, and if it's enjoyable for you to listen to. Our place of the week is Venice, Italy. Venice has a long history of influencing musicians in other European countries. Antonio Vivaldi's string orchestras made up of school girls attracted many visitors to the "floating city". The singing of large church choirs echoes in the great stone cathedrals. Italian opera shared an important role in the city, as did dance music to be played at many entertainments such as masked balls. 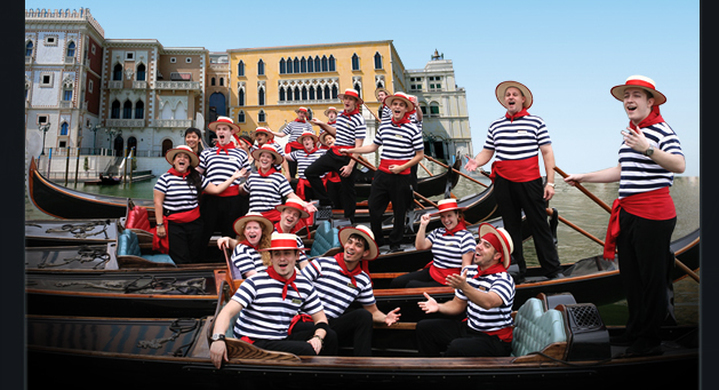 Today, people can be serenaded by the voices of the gondoliers on the canals. While not every gondolier is a singer, this group of people is such an important part of Venice that a comic opera called The Gondoliers was written about them by the British composers, Gilbert and Sullivan.